In April of this year, I was gifted a cold brew brewing kit from a friend. At the time, I had very little experience with drinking or making cold brew coffee. However, I was excited to give it a try. The process of making cold brew coffee couldn’t be simpler. Although, I take one extra step before the process: I also roast my own beans. For a little background, I started roasting coffee at the beginning of this year (2017) as a hobby, and that hobby has taken over my life. Fortunately, there is a business just minutes from home that has a small room from which they sell roasted and green beans and also offer coffee roasting lessons. Inside are two small roasting units. These machines are specifically designed for companies to test small samples of new beans at different roasting levels. This gives them an opportunity to experiment until they get the timing that they want for each variety of bean. Back to the cold brew.. If you’ve ever made a cup of instant coffee, then you can make cold brew.. I make mine in a 750ml bottle in the exact shape of a wine bottle, although the top is rubber and detaches, which is where I connect the plastic filter. I put 4 scoops of course-ground coffee into the filter, add between 600-700ml of water into the bottle. Then reconnect the rubber top. At the moment, my ratio is 10-12 grams of ground coffee to about 160ml of cold water. This seems to produce a great finished product. Usually, less water is used when making hot coffee, but this ratio works well for cold brew coffee due to the brewing time. Well, how long is a piece of string? Honestly, I’m still experimenting with my brewing time, however I always leave it in the fridge overnight. Doing this gives me a window of 8-16 hours of brewing time, depending on when I made it. By morning, I can just take the rubber top off, disconnect the filter, put the top back on, and it’s ready. Do you have a different method? Please let me know. Coffee is something different for everyone. For me, it’s a way of connecting with others. Whether it be through the roasting, the drinking together, the conversation that surrounds it, the writing about it, or all of the above. Through these simple beans a whole new connection can unfold. Getting Up Early Doesn’t Equal Productivity. What kind of water do you use? Is it just straight tap water? 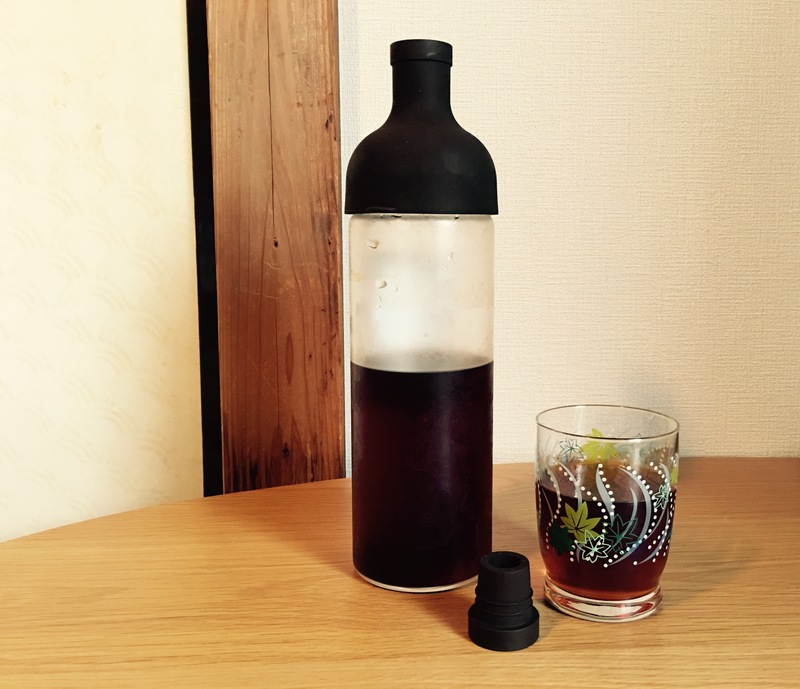 I use an Iwaki cold drip coffee maker, it takes about 6hrs to make a batch with that. I like the taste better from it, than doing cold brews by the immersion method. I always use bottled fridge cold spring water. I used to use fridge chilled tap water but it often clogged the dripper. I find the colder the water the better the taste.